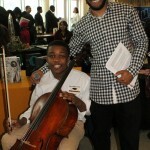 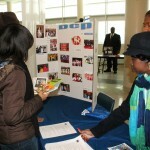 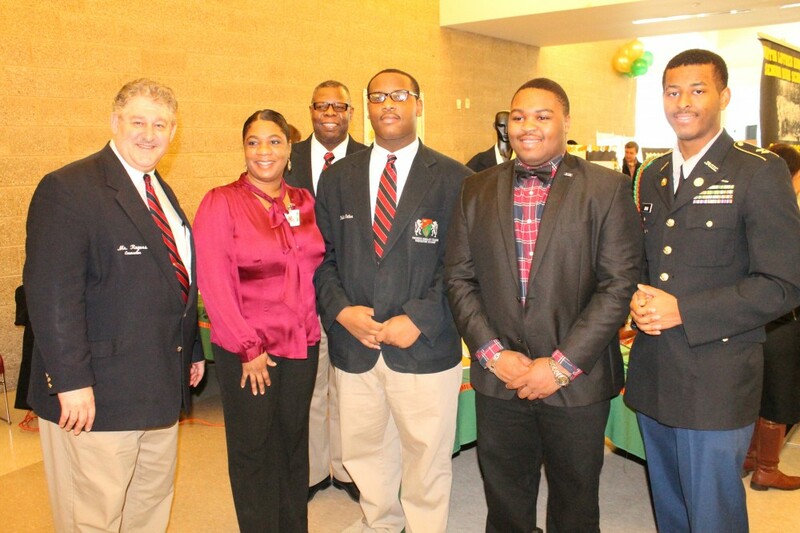 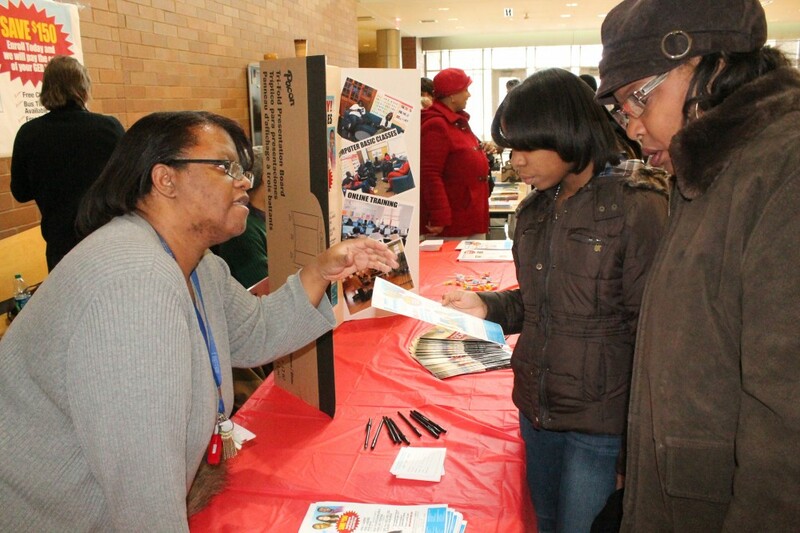 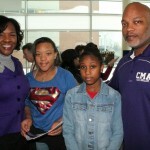 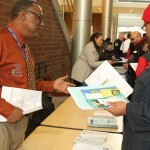 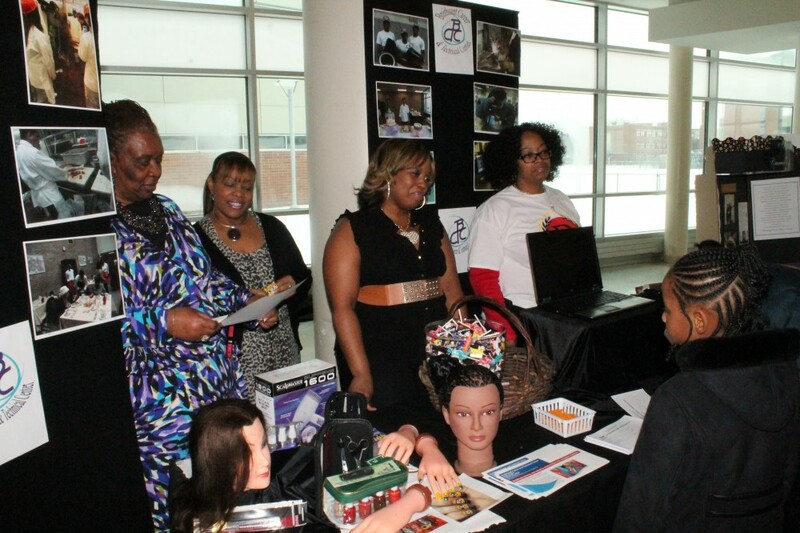 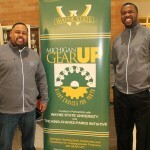 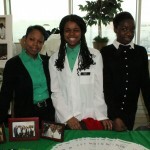 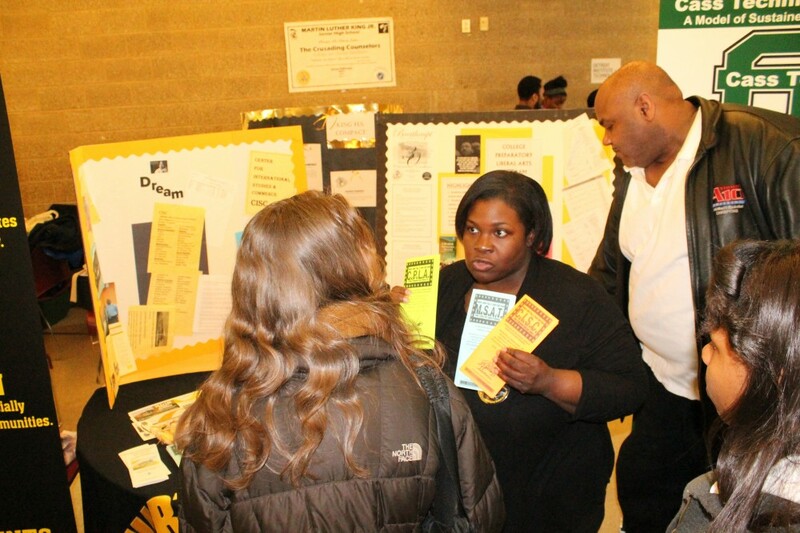 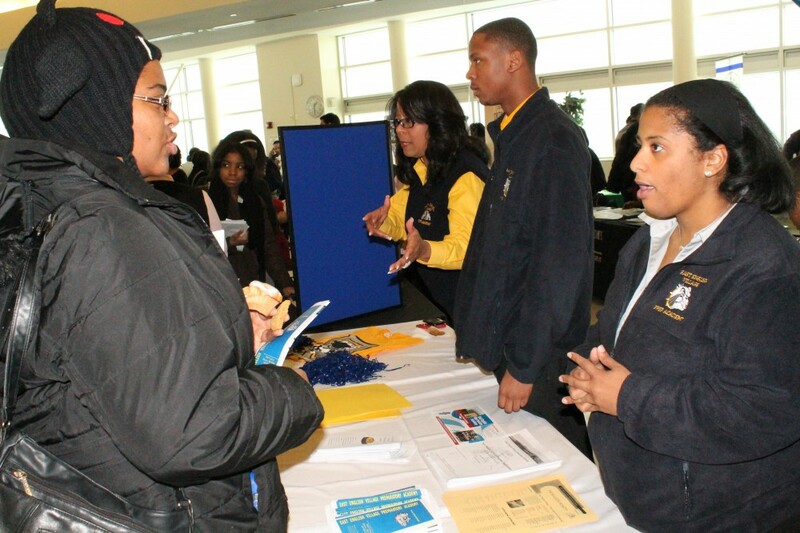 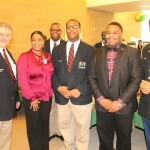 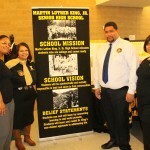 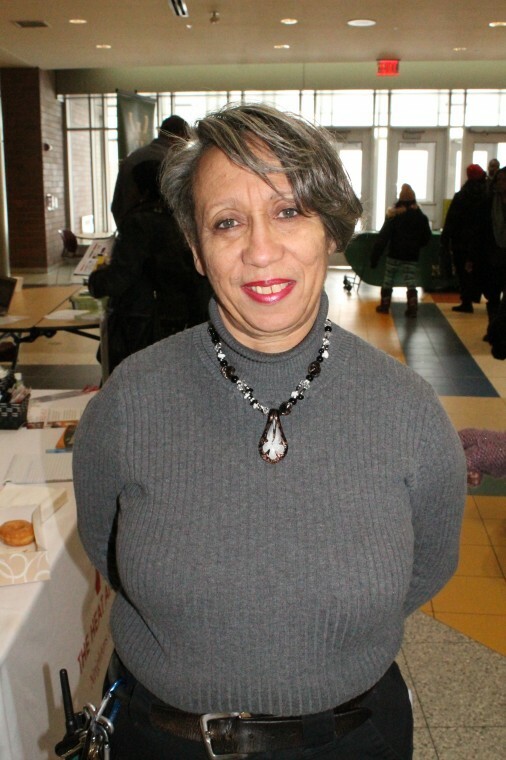 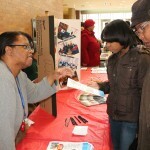 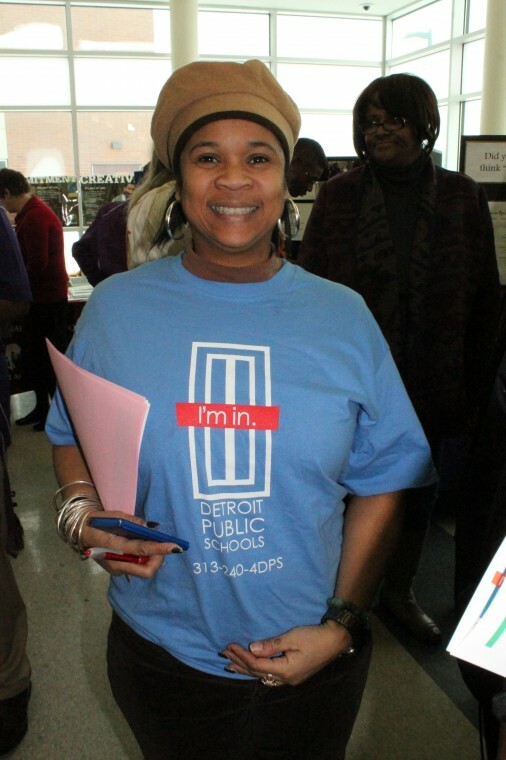 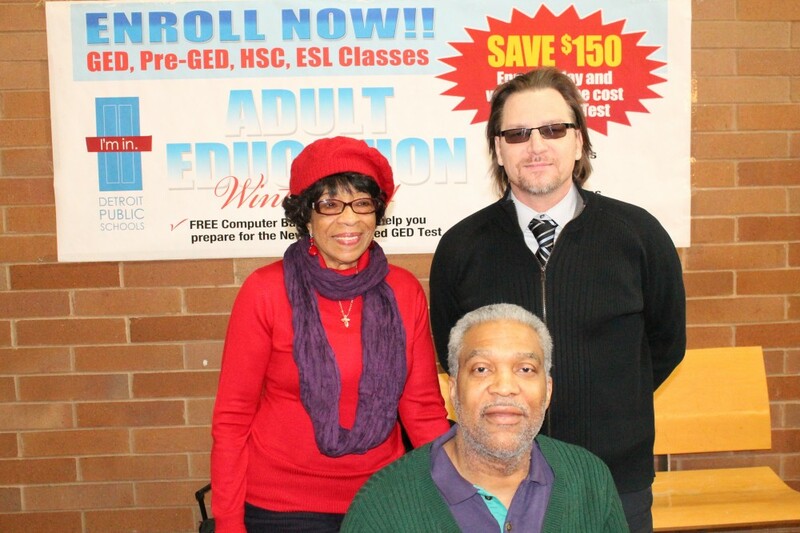 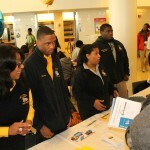 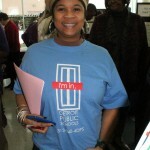 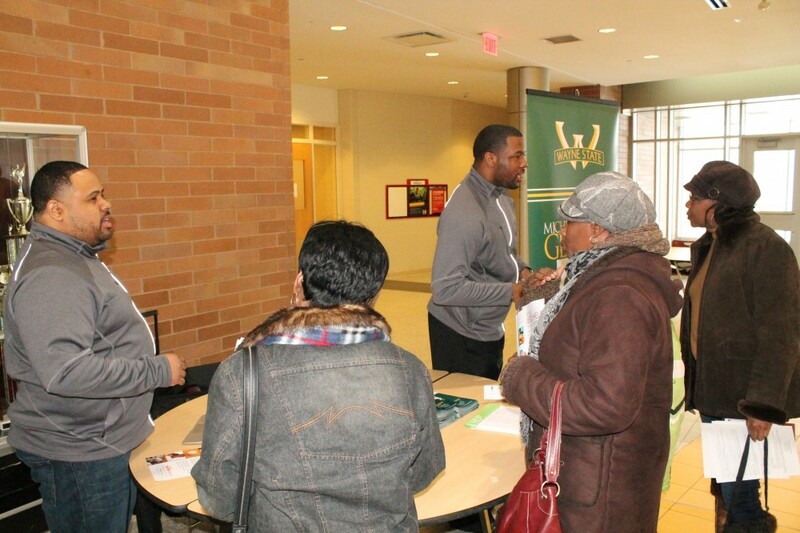 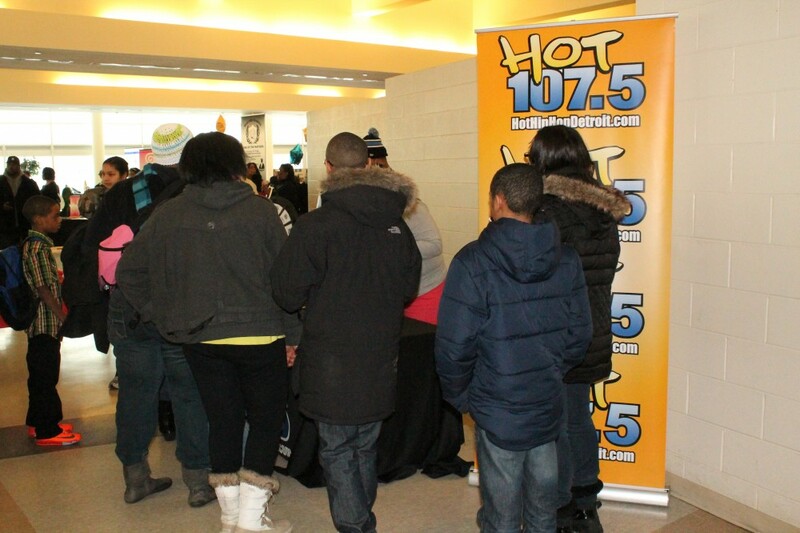 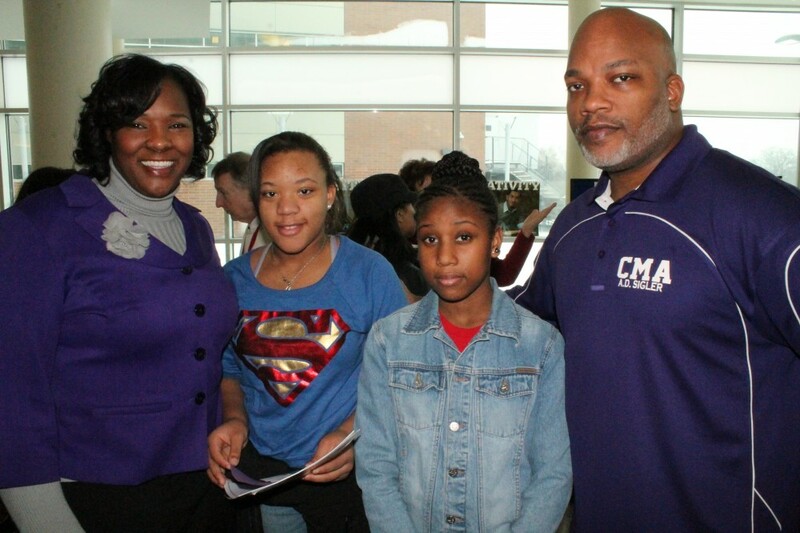 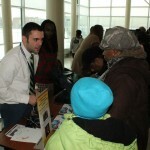 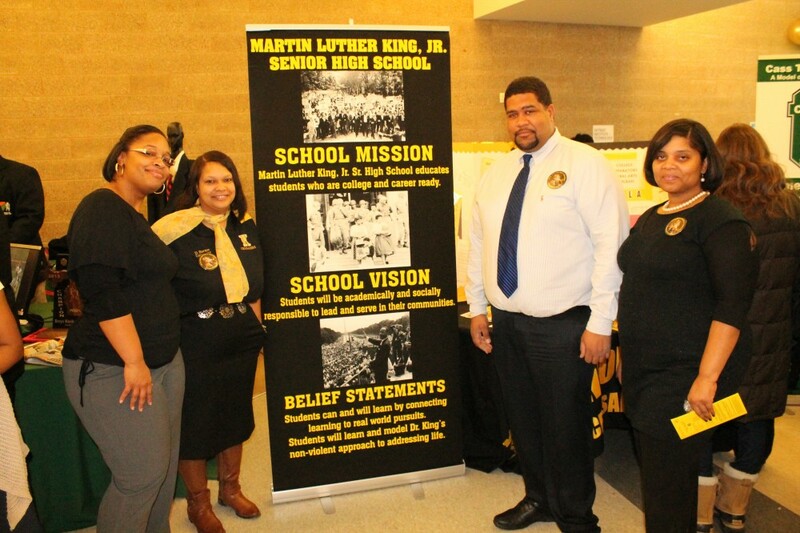 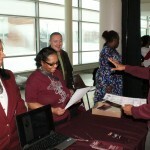 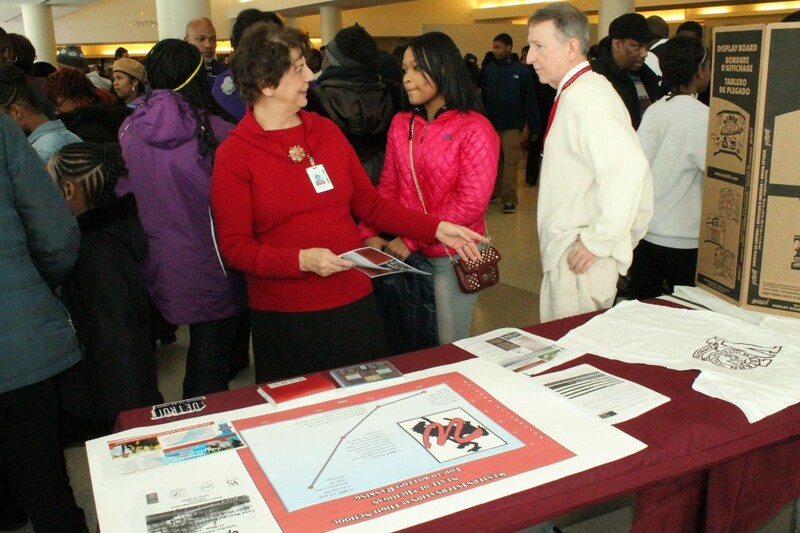 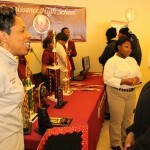 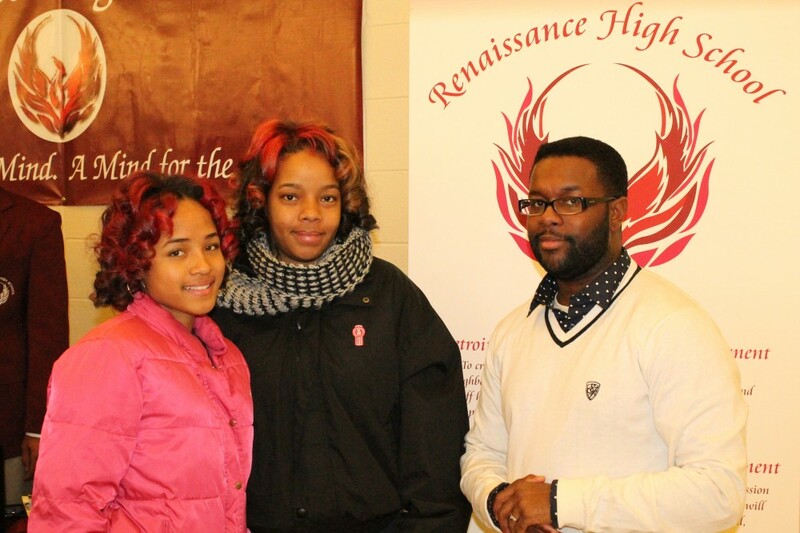 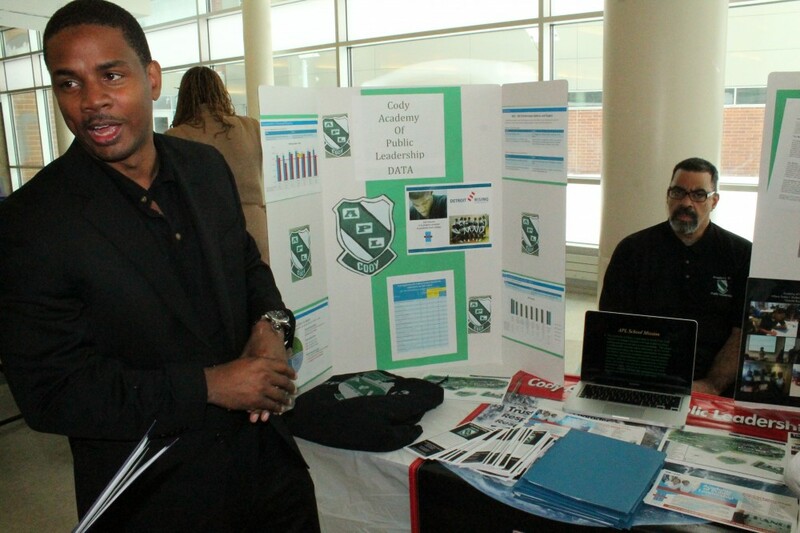 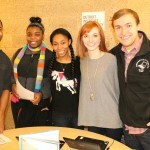 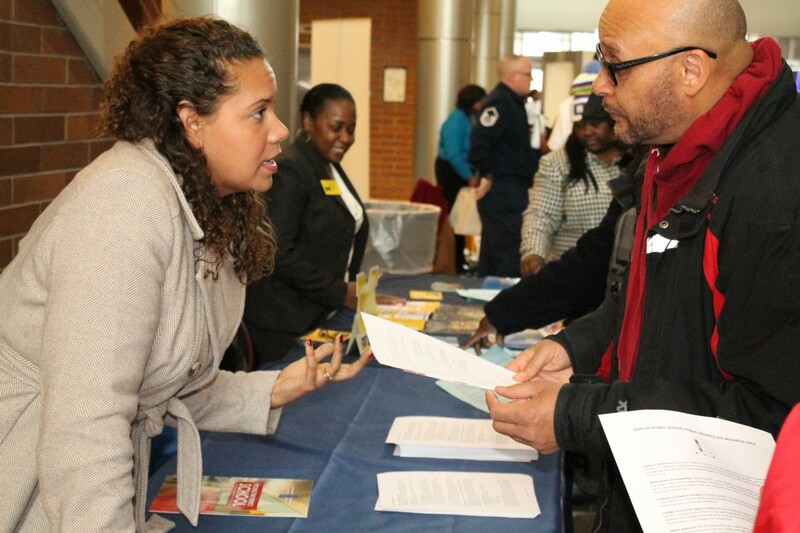 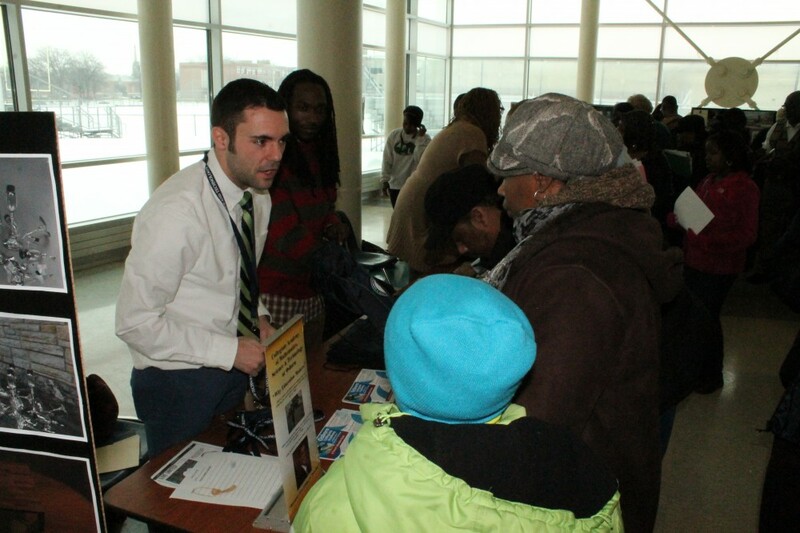 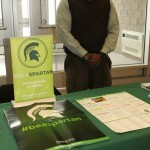 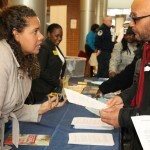 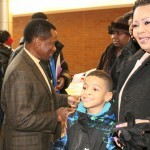 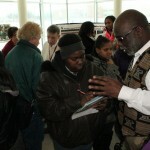 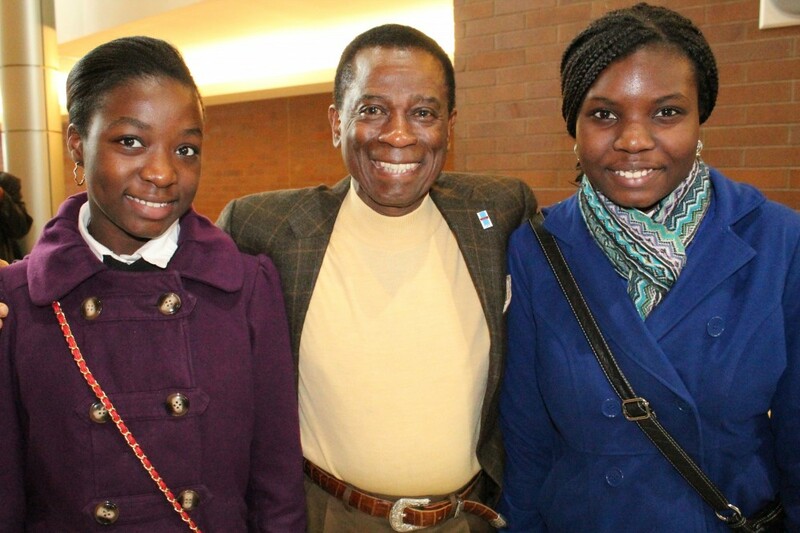 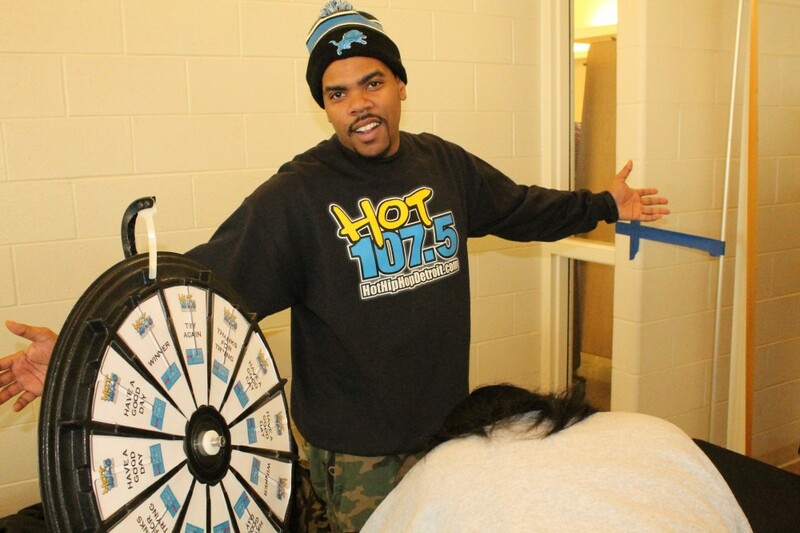 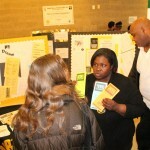 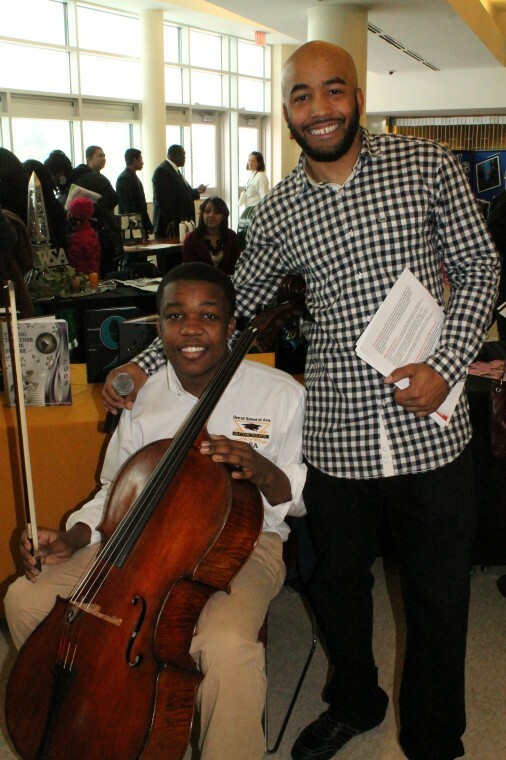 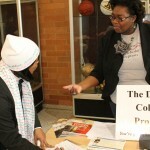 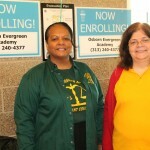 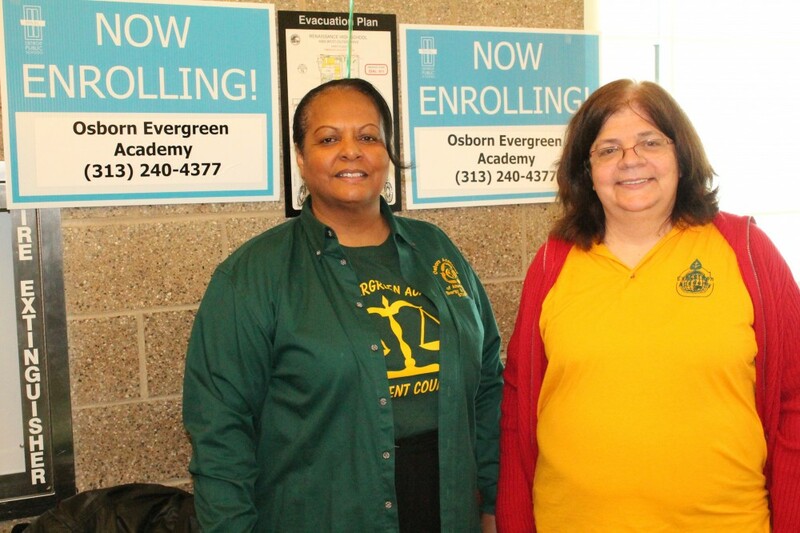 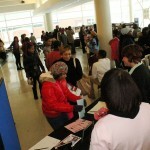 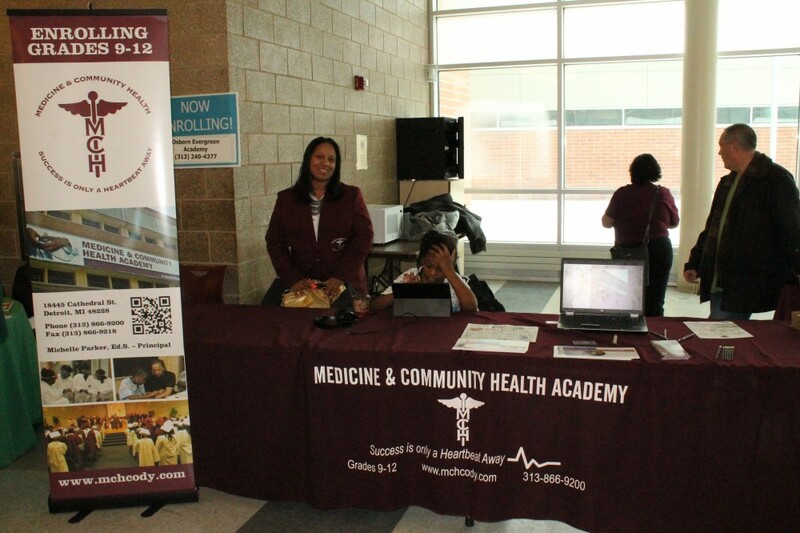 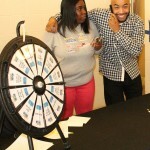 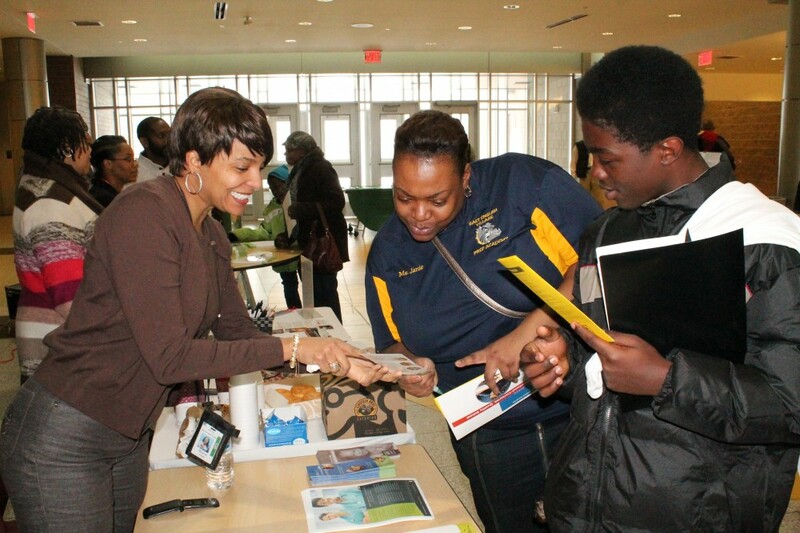 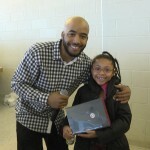 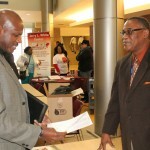 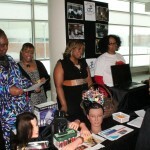 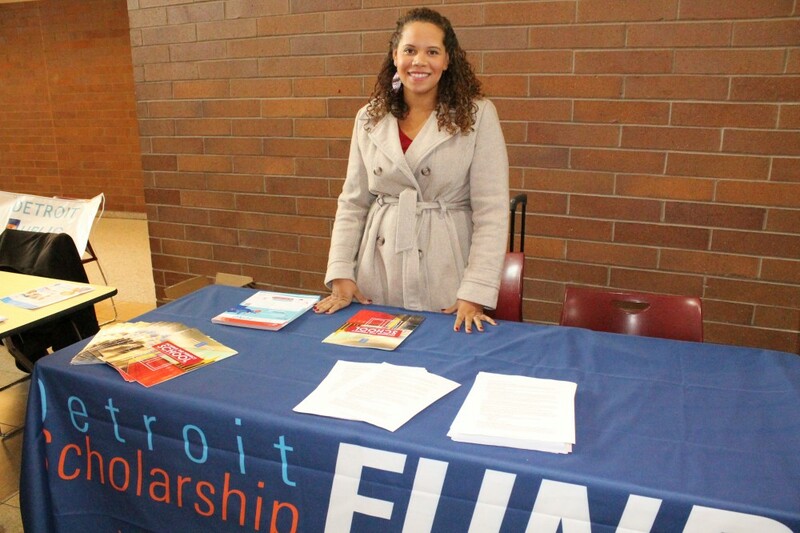 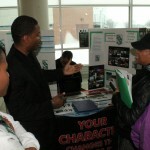 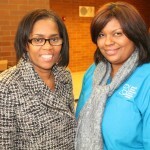 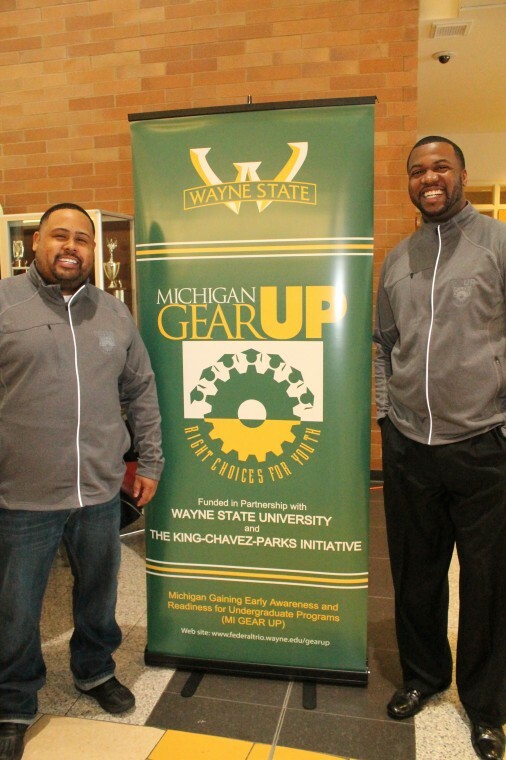 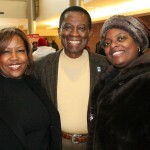 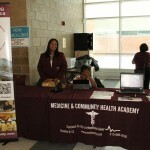 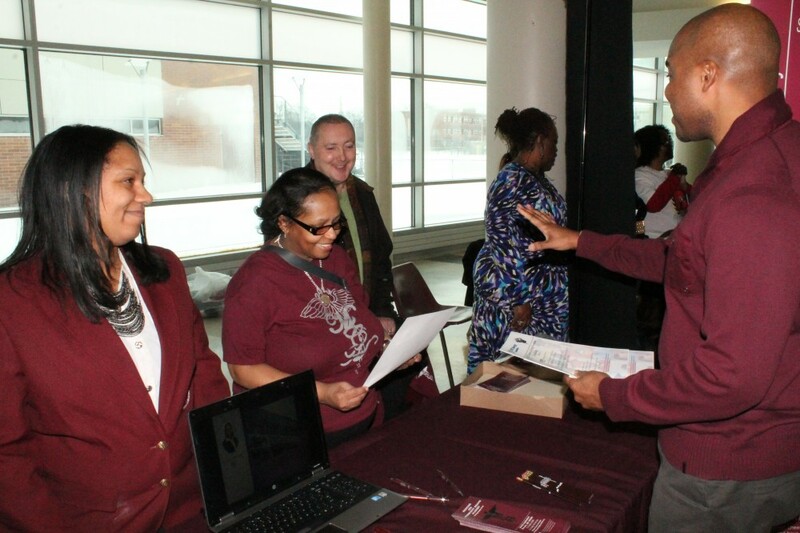 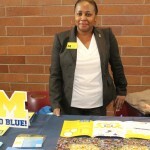 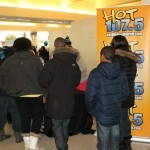 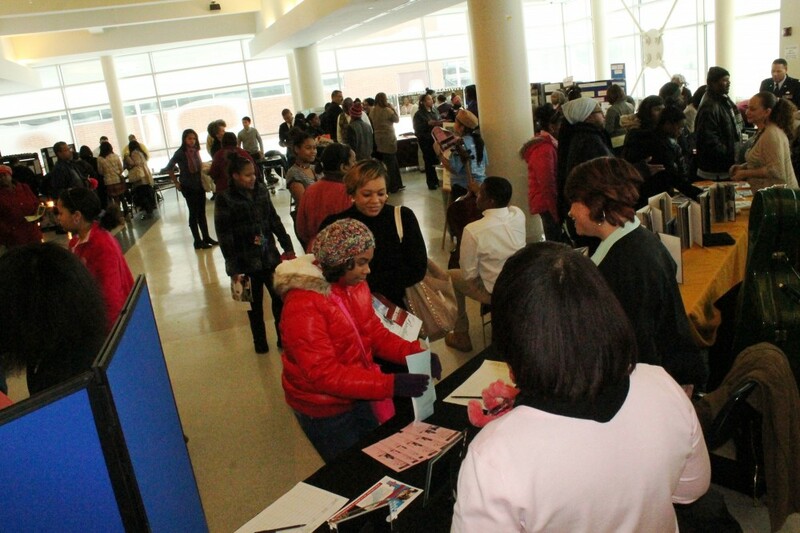 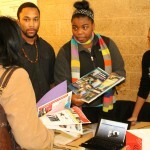 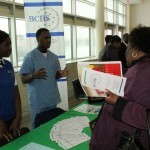 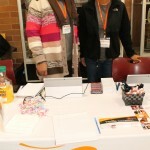 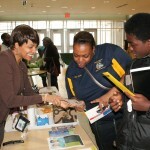 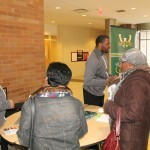 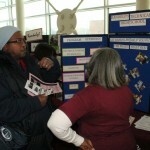 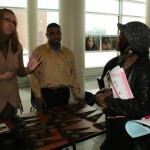 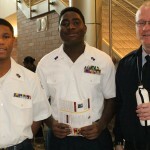 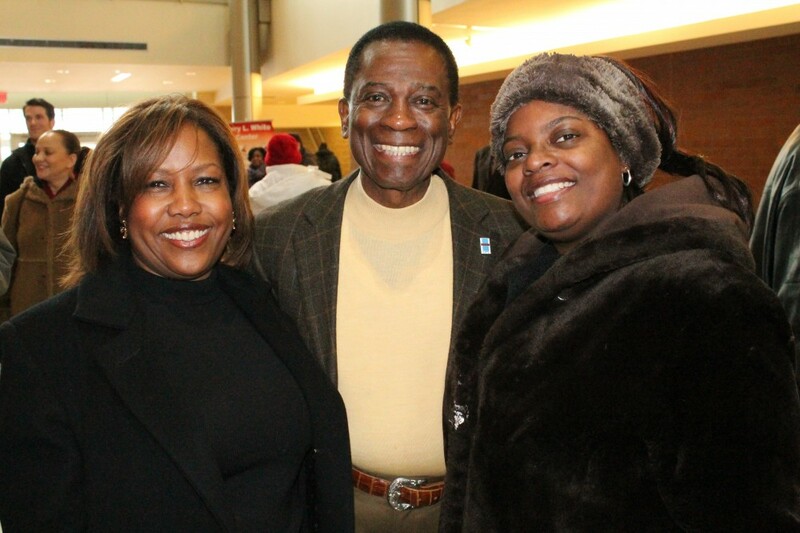 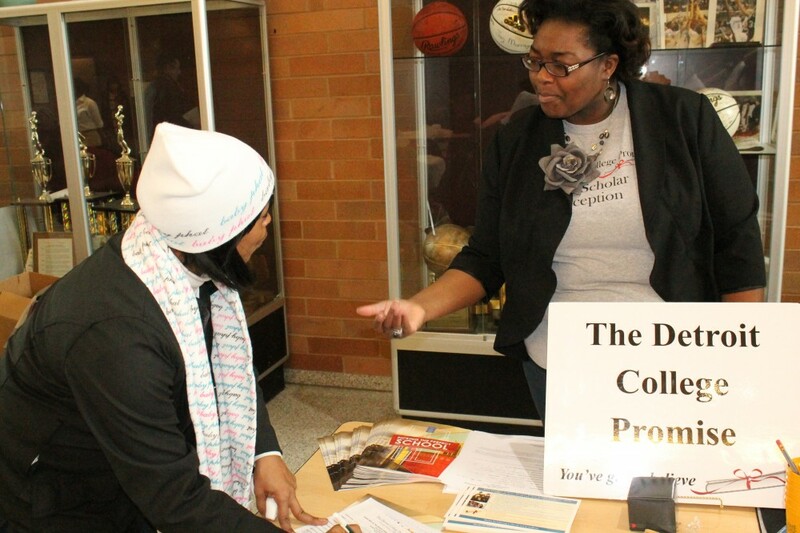 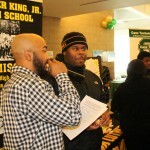 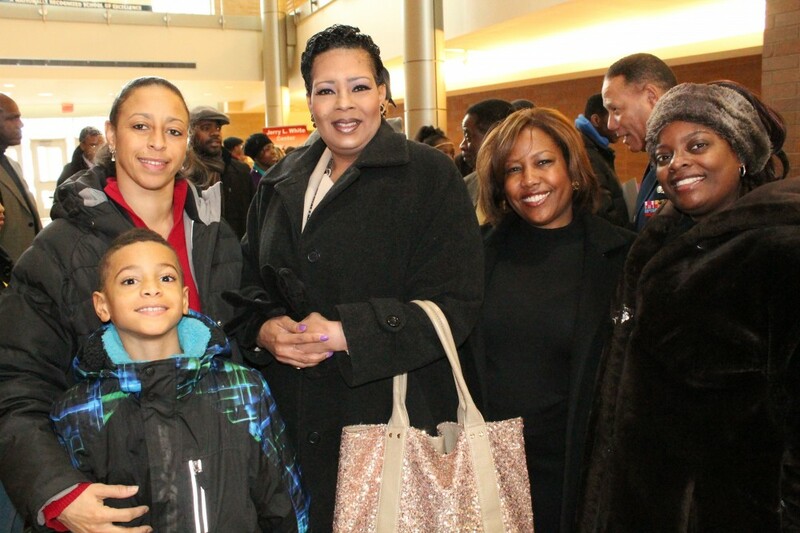 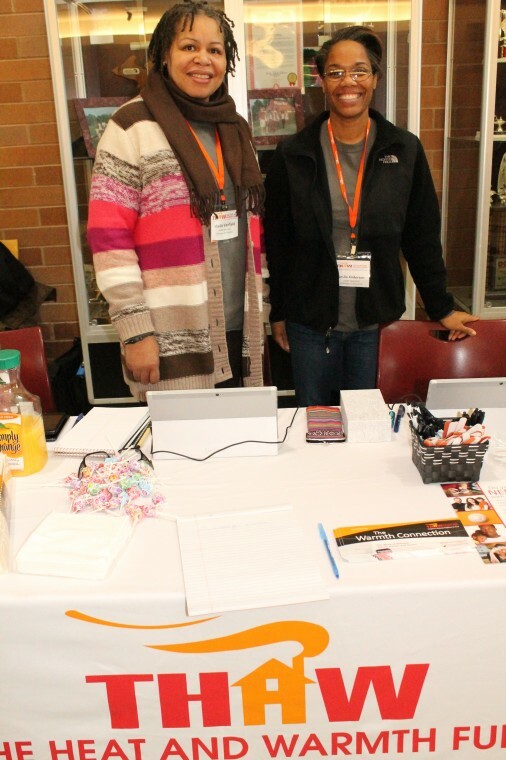 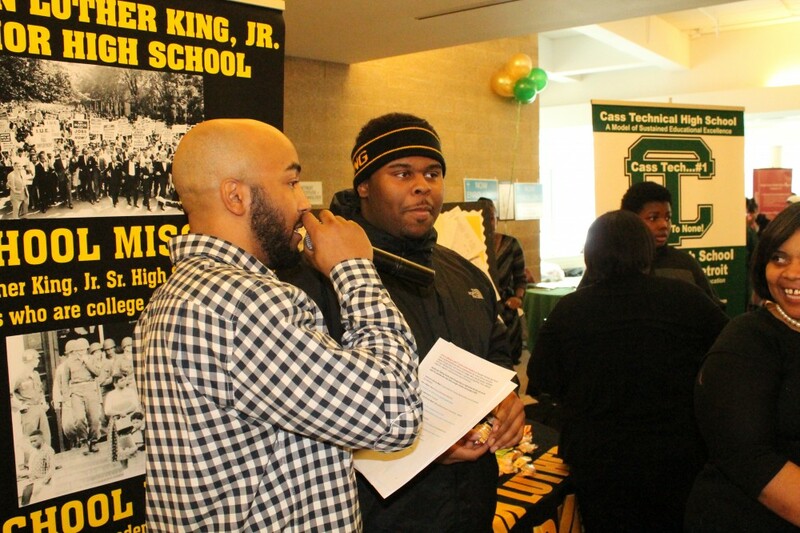 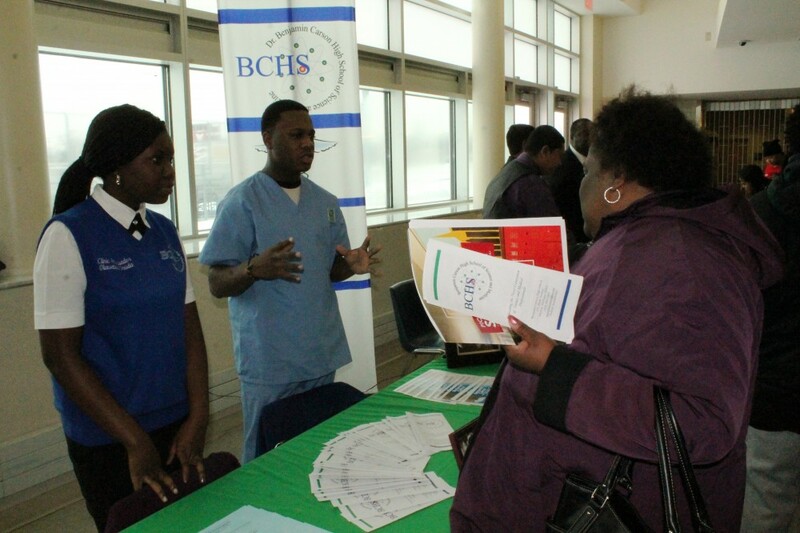 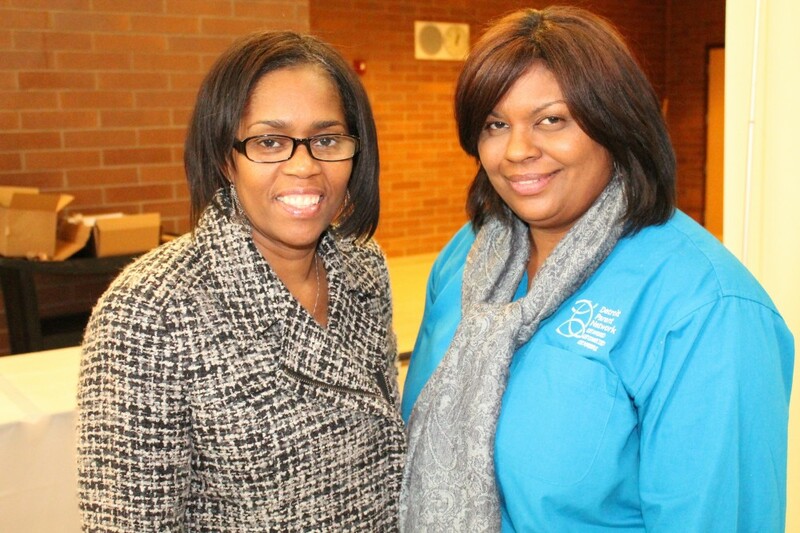 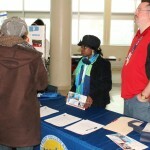 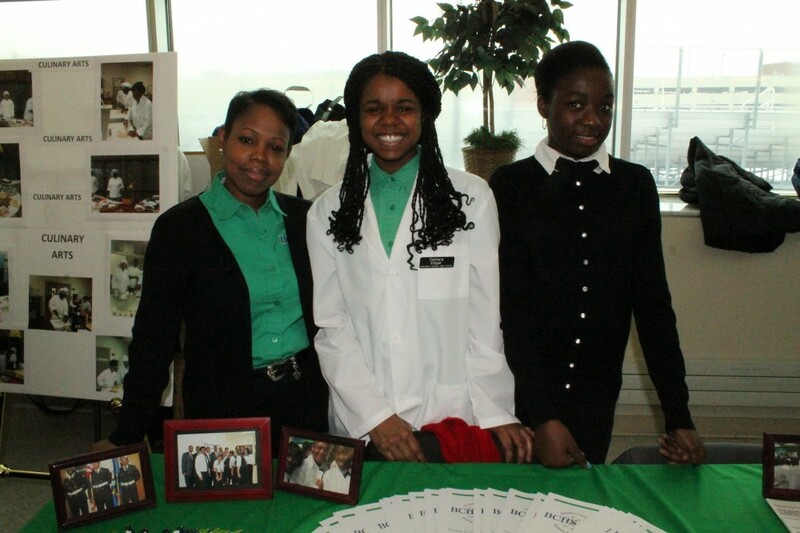 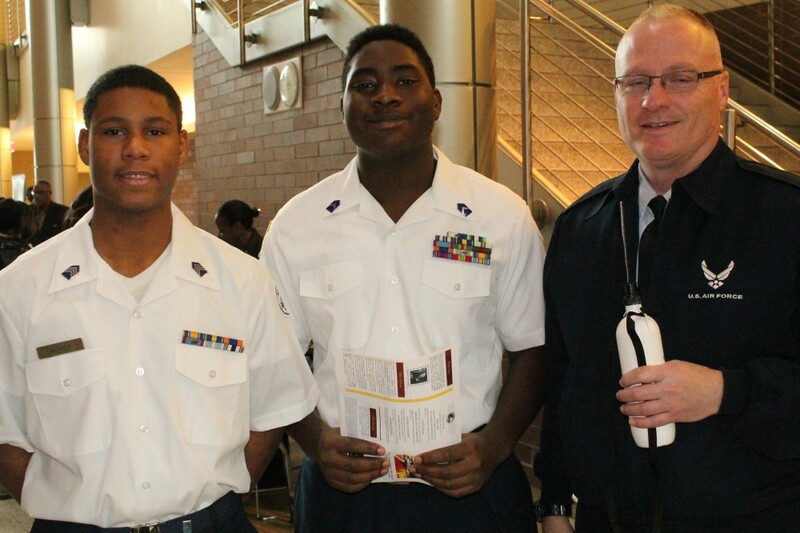 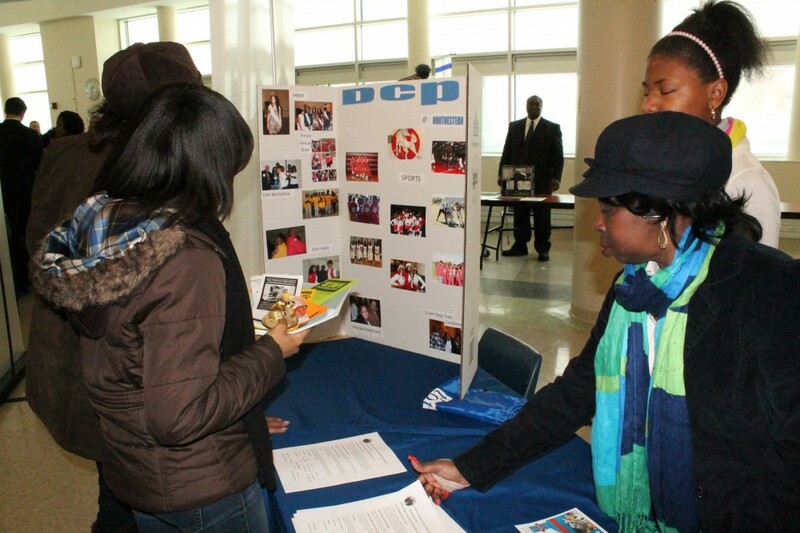 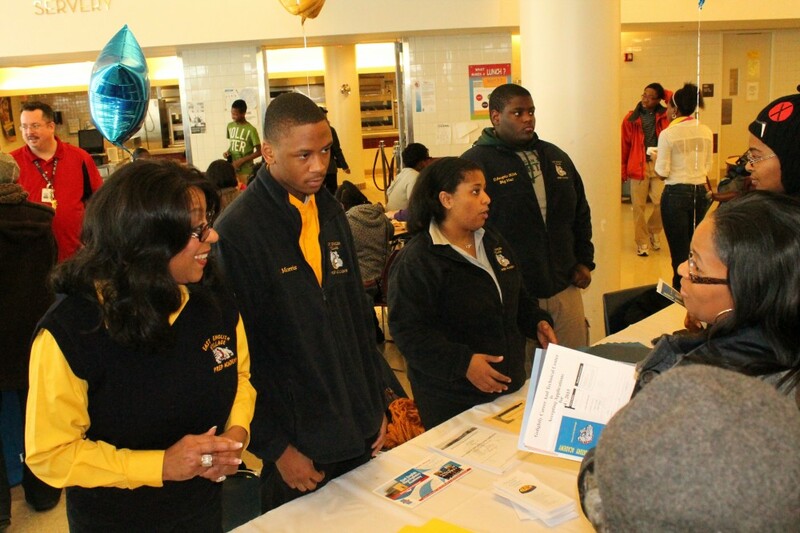 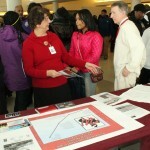 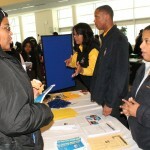 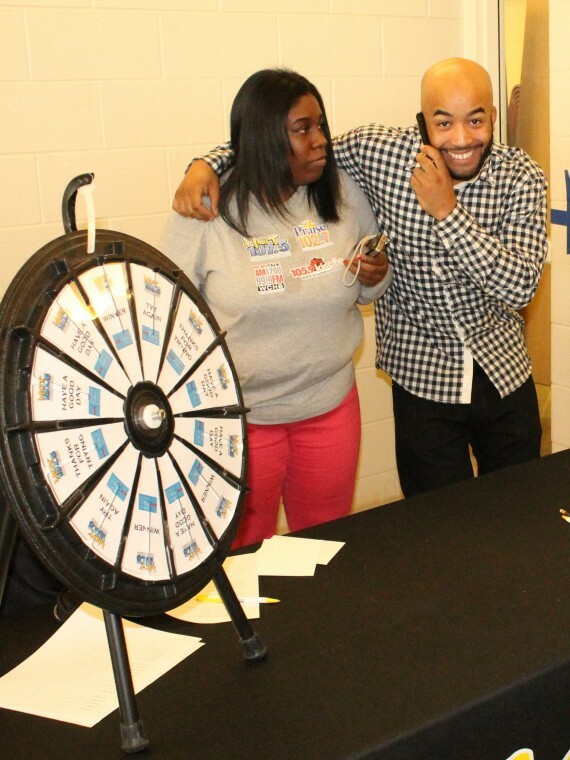 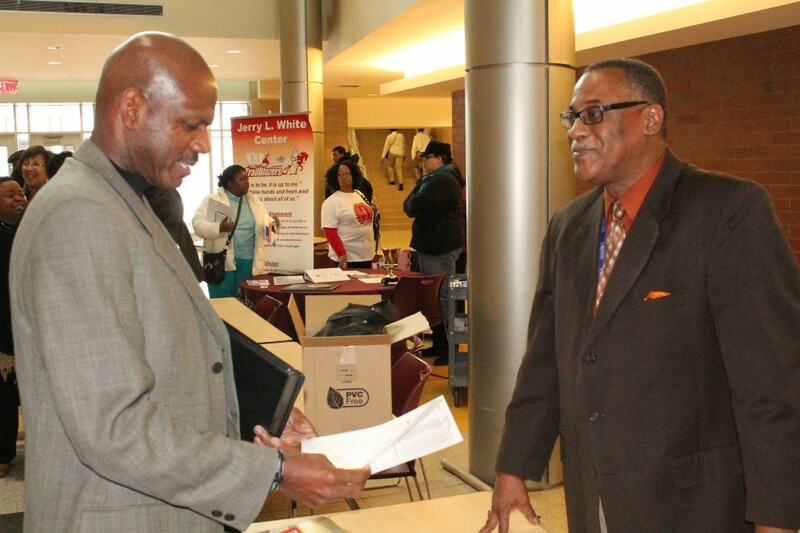 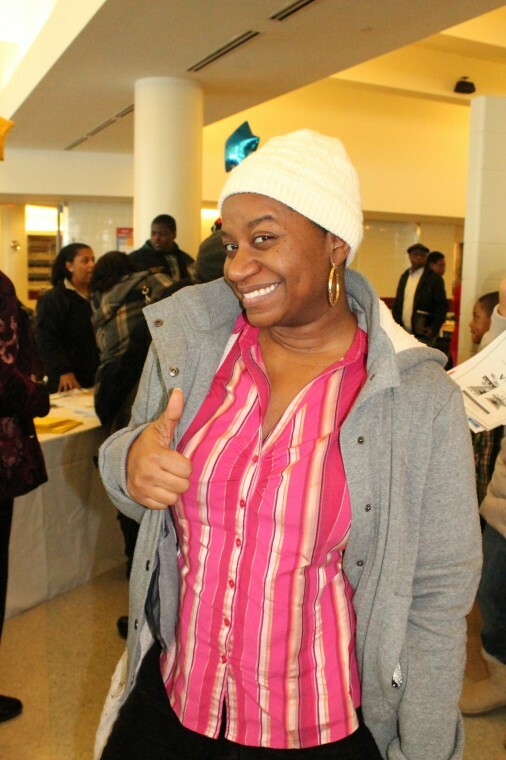 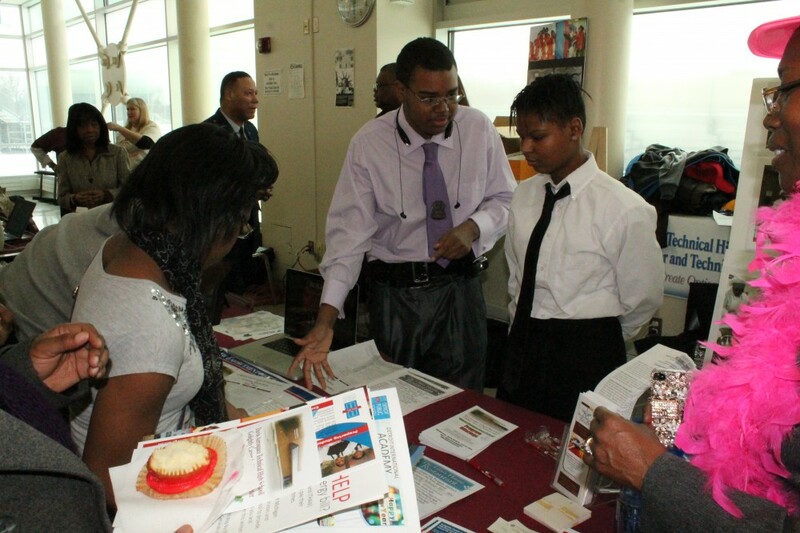 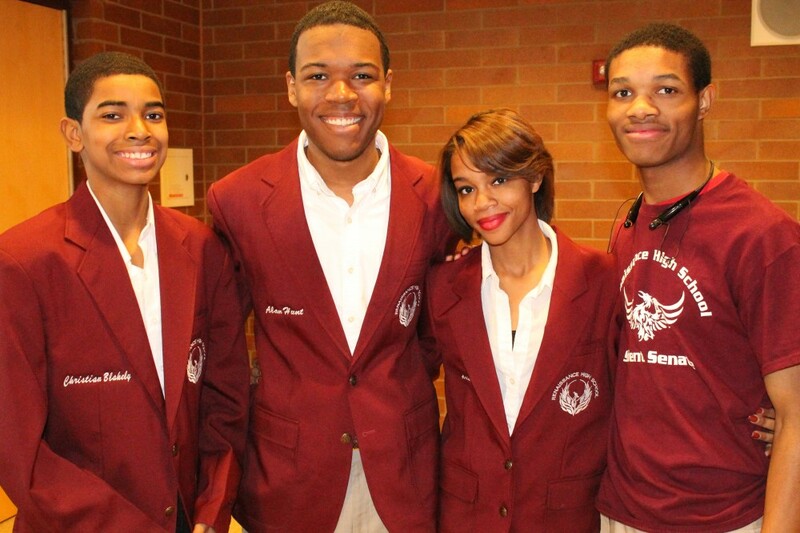 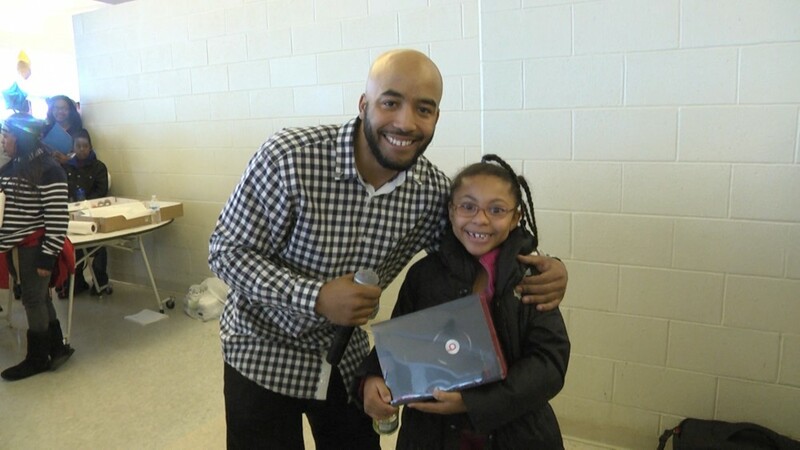 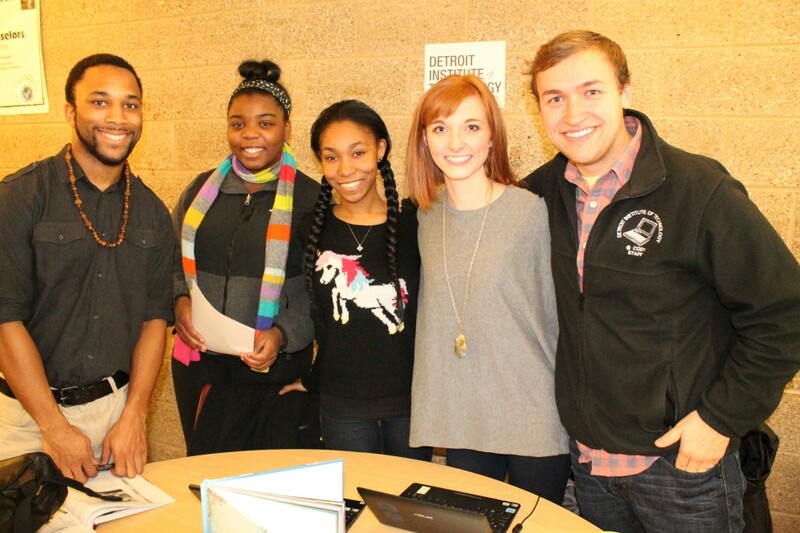 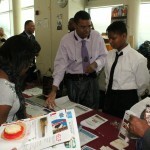 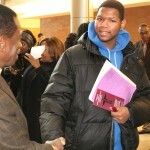 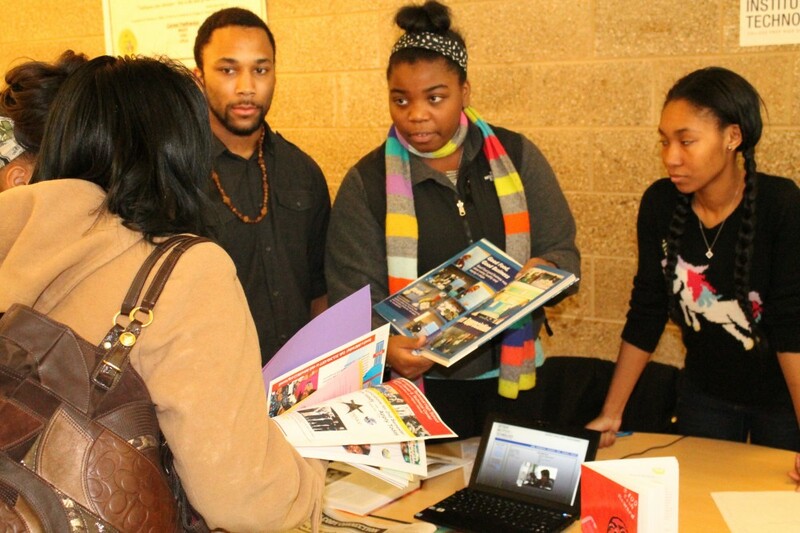 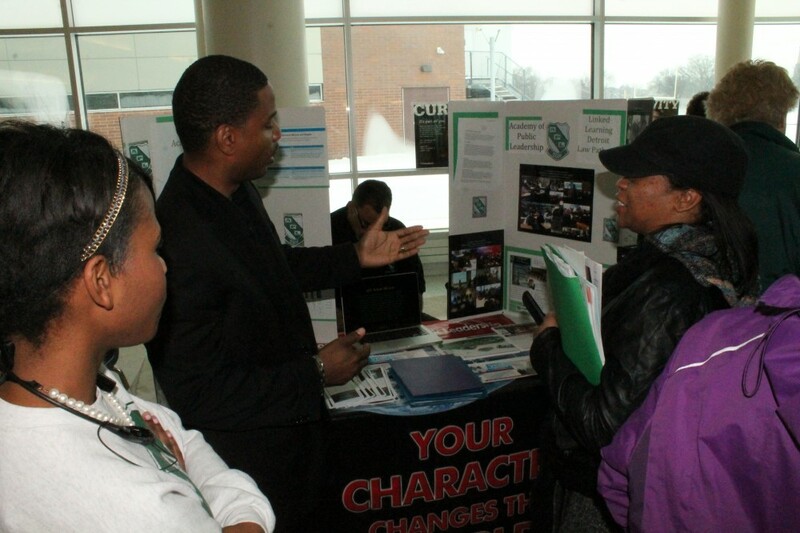 Detroit Public Schools on Saturday, January 18, held its first-ever All DPS High Schools/Career Tech Centers Fair during the district’s new Winter Retain and Gain Campaign. 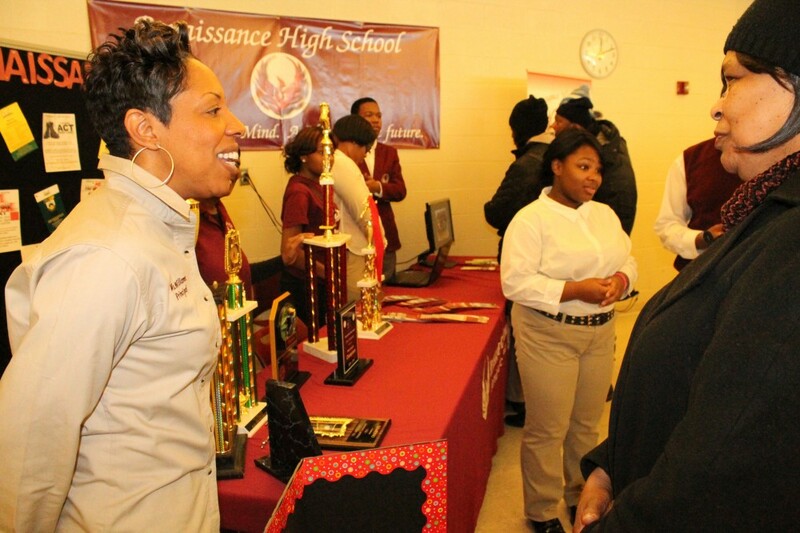 The event was held at Renaissance High School from 11 a.m. to 1 p.m. and showcased the offerings of all DPS high schools and Career Technical Centers. 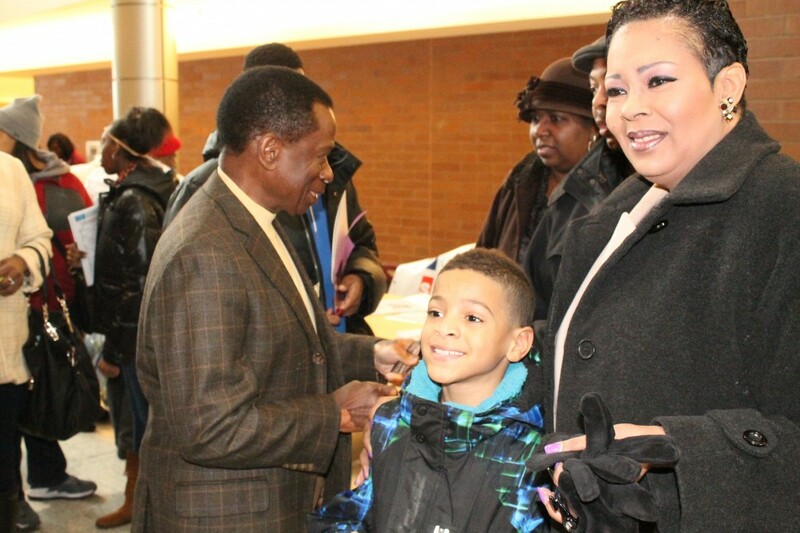 The district’s elementary and middle schools also held Open Doors Day on Wednesday, January 15 from 3-5 p.m. at every school site. 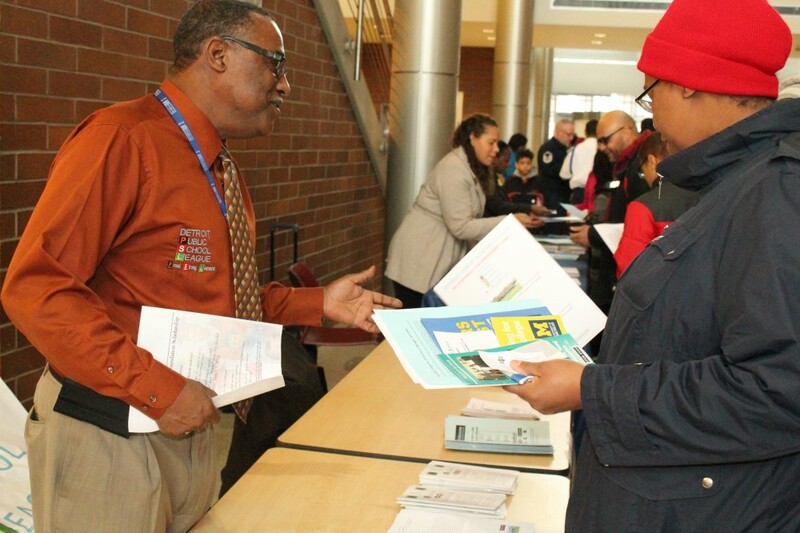 Both events, part of the district’s new year-round marketing strategy, aimed to build on the positive momentum gained from the district’s successful Summer Enrollment Campaign, which stemmed historic enrollment losses and helped schools to gain market share. 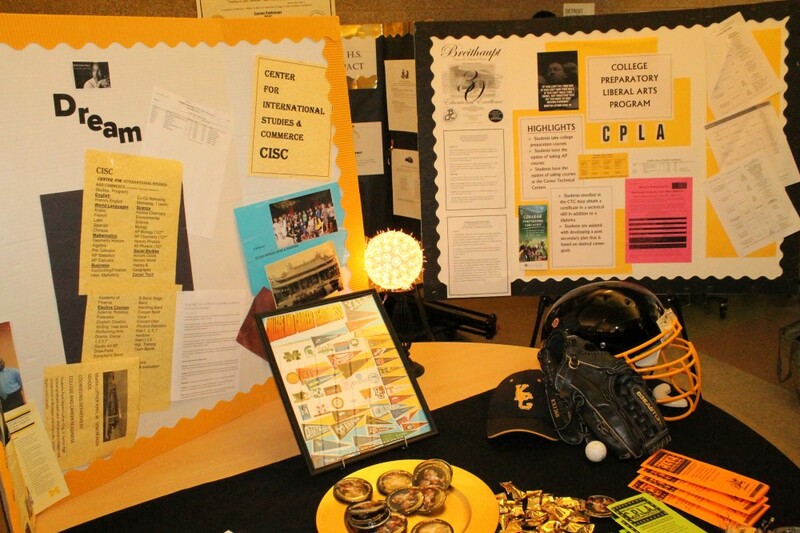 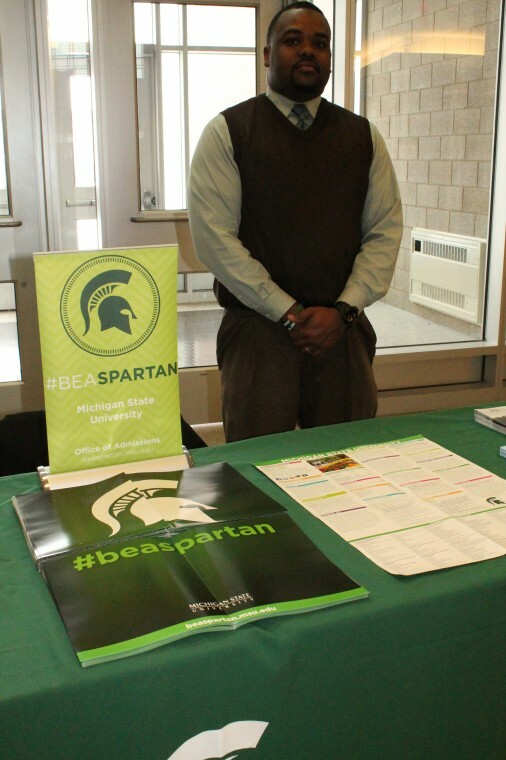 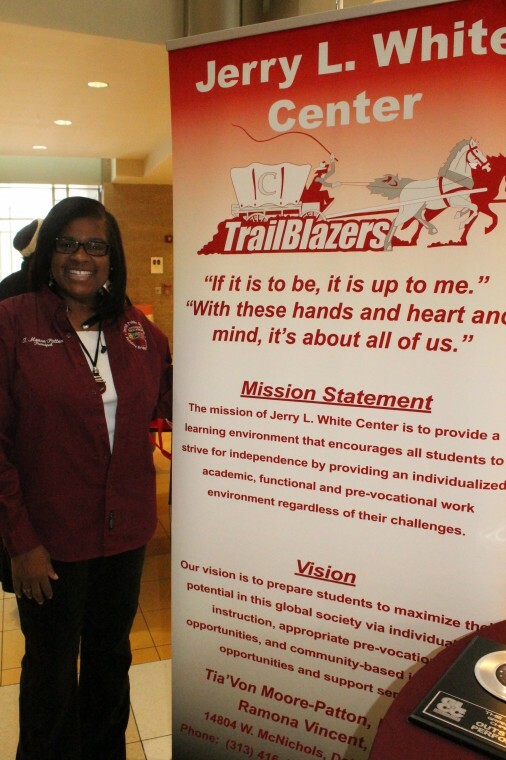 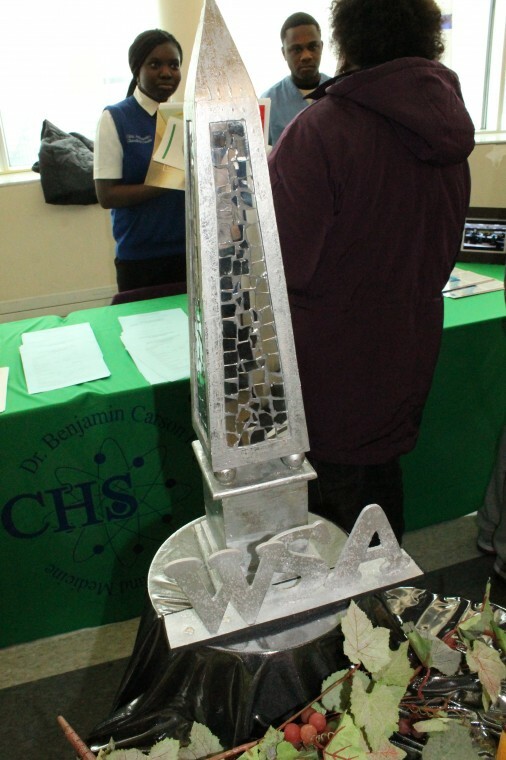 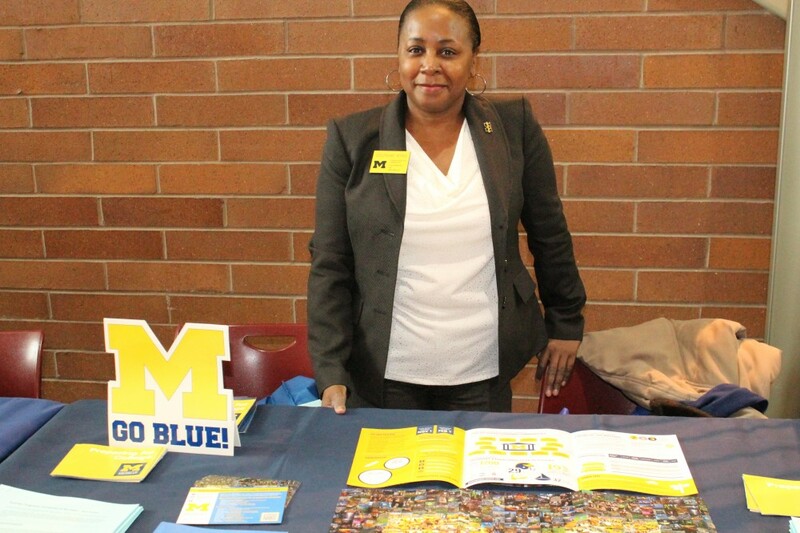 The high school fair offered a number of exciting elements, including information about specialty programs and career pathways, as well as scholarship information. 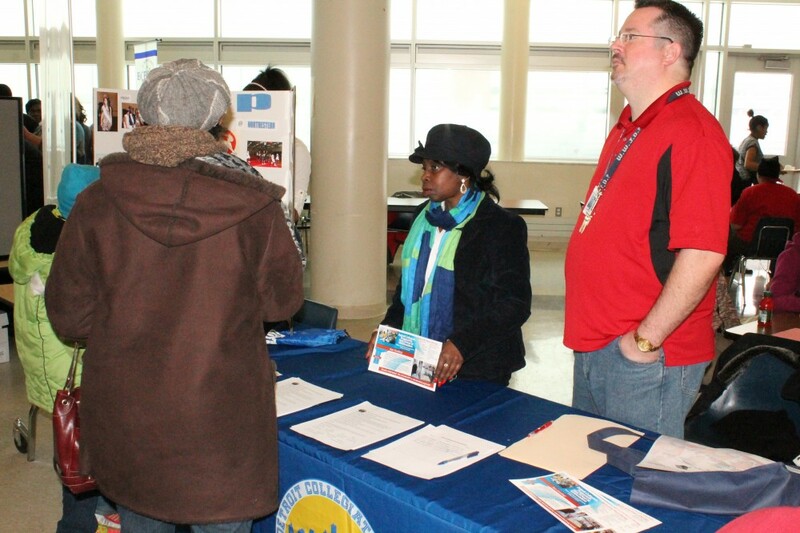 It also showcased details about the district’s new Career Academy, where high school students can earn a comprehensive high school diploma, associate’s degree through Henry Ford Community College, heavy machine operator certification and a paid internship through coursework in plumbing and pipefitting, HVAC, electricity, carpentry, masonry, horticulture and interior furnishings. 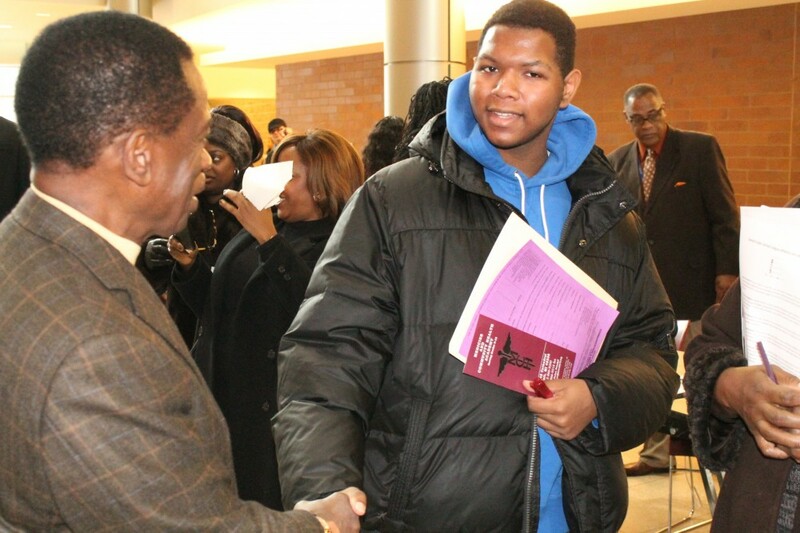 This new program will begin in September 2014 and include a four-week summer “bridge” program in June at the restructured A. Philip Randolph Technical High School. 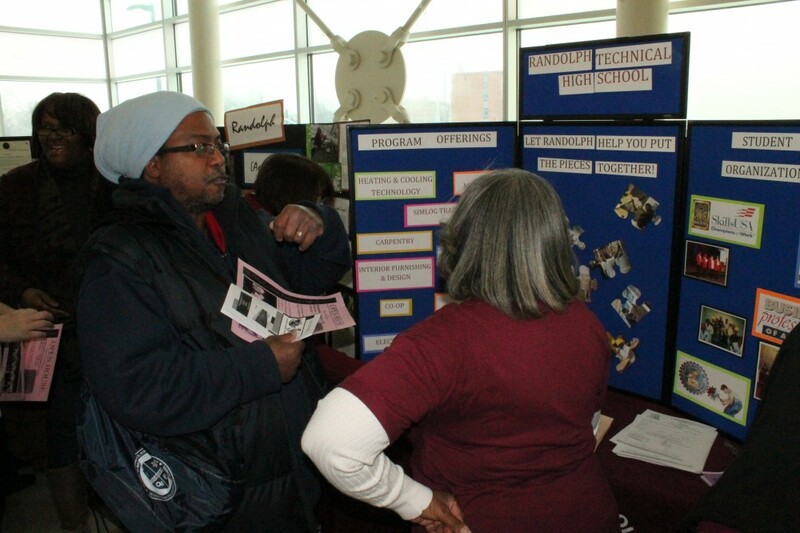 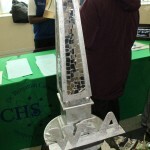 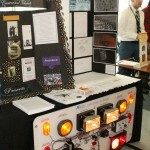 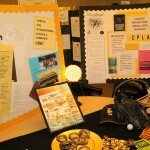 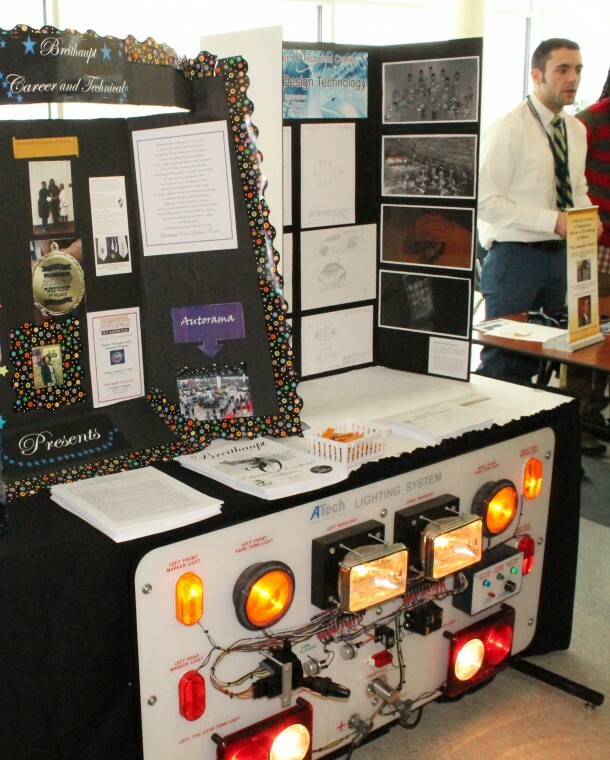 All Career Technical Centers showcased their unique offerings, including culinary programs and construction trades courses. 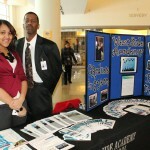 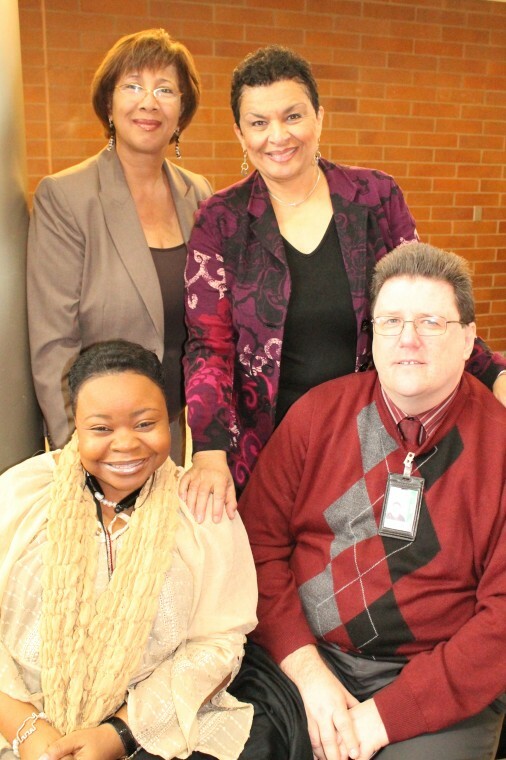 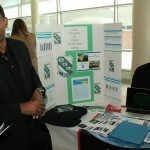 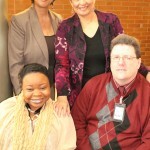 The new Career Academy program includes high school and adult education components. 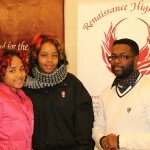 Both high school and adult level programs will be located at the restructured Randolph location. 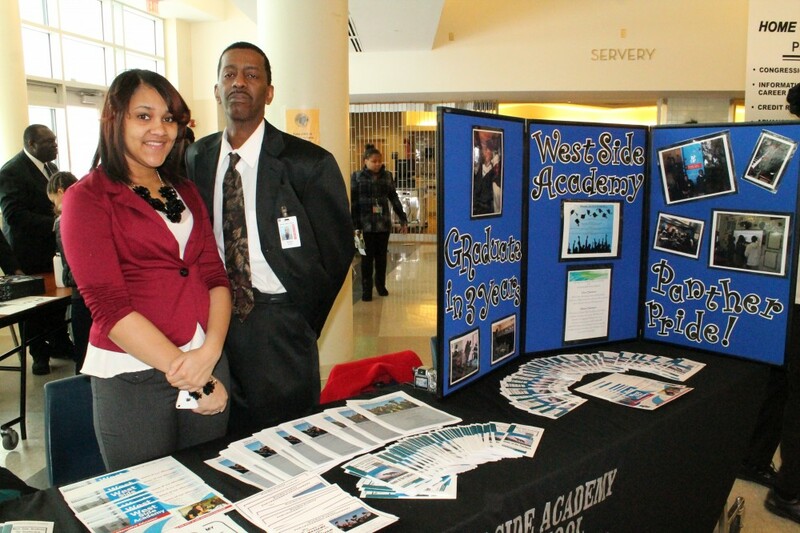 Opening the Career Academy is a key first phase objective of the new DPS five-year Strategic Plan, that was developed after an intensive five-week strategic planning process involving parents, students, teachers, principals, staff, clergy, civic and community leaders and policy makers. 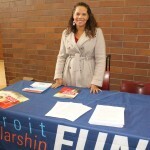 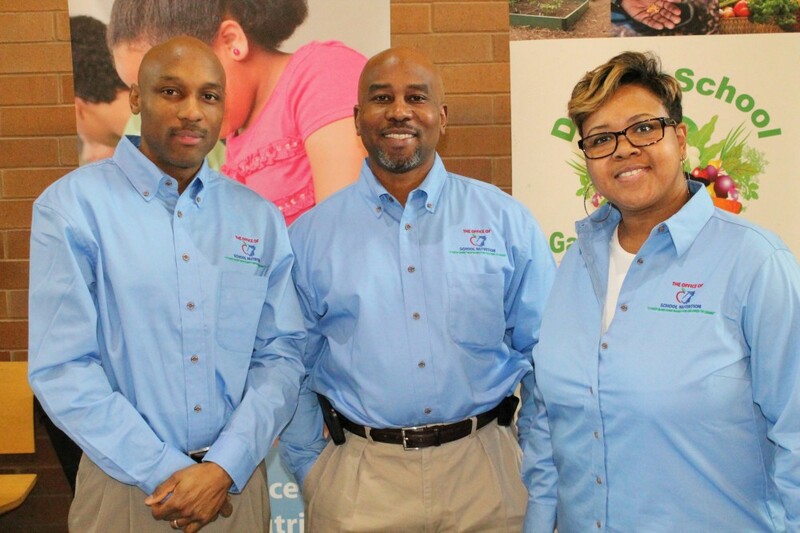 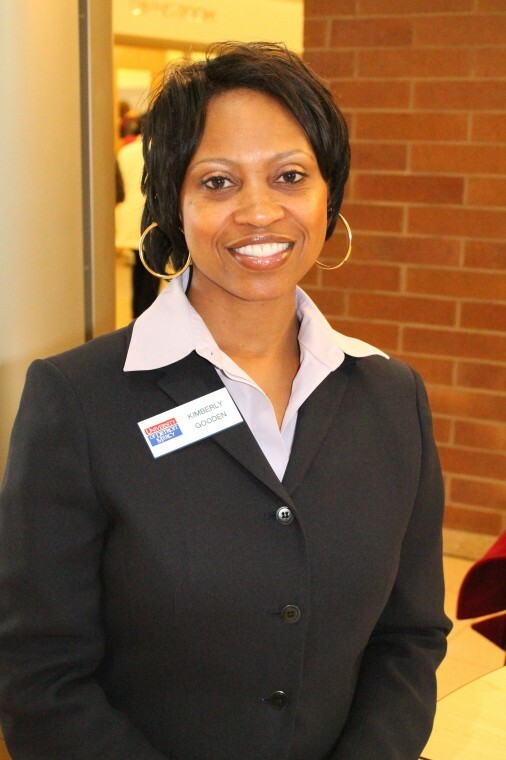 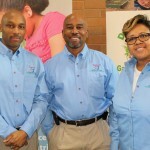 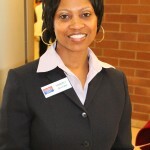 Their input is being used to help Detroit Public Schools improve its performance and customer service, broaden services, and provide desired programs, all within a safe learning environment. 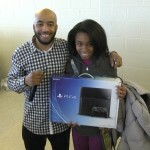 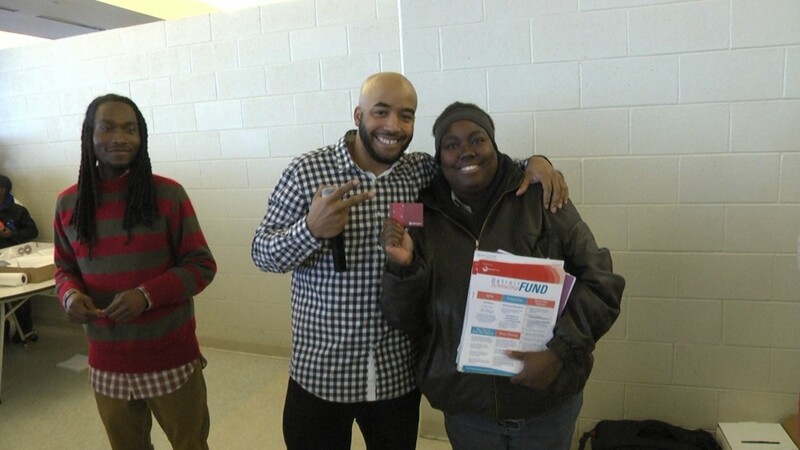 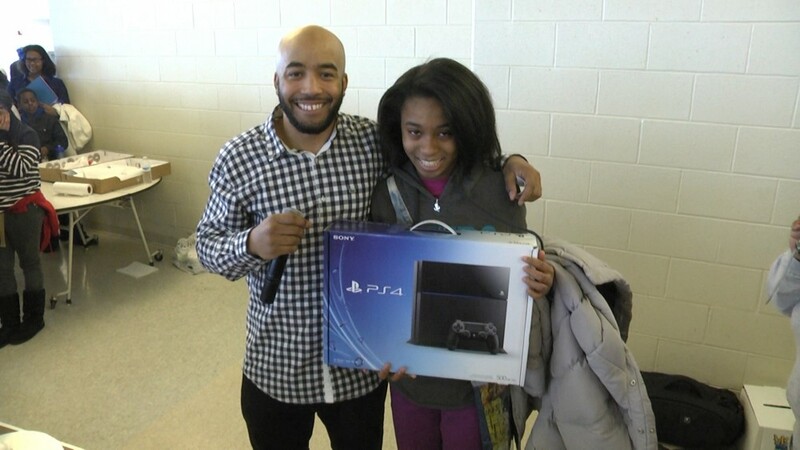 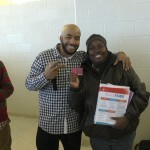 Special giveaways at the High School/Career Tech Fair included 40 drawings for $20 WalMart gift cards and one $200 drawing for a Target gift card; 10 drawings for School Supply Baskets; a set of Beats by Dr. Dre headphones courtesy of Office Depot; and a Playstation PS4 game console, courtesy of ABC Warehouse. 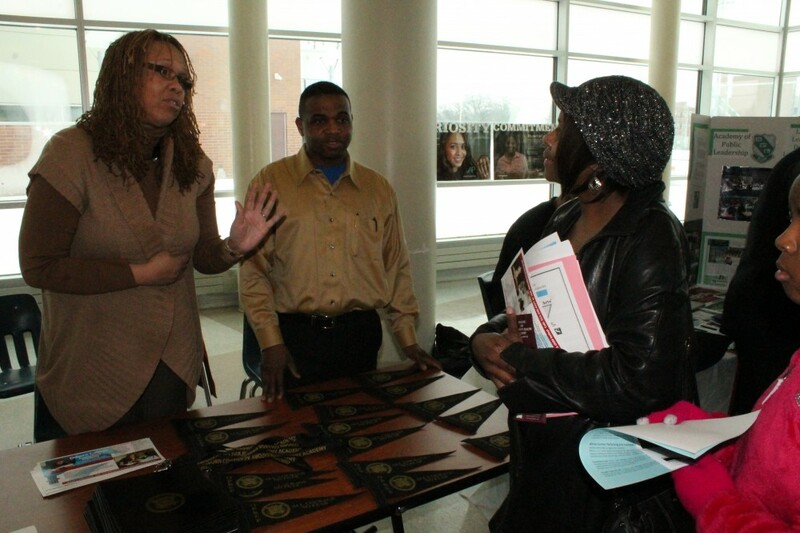 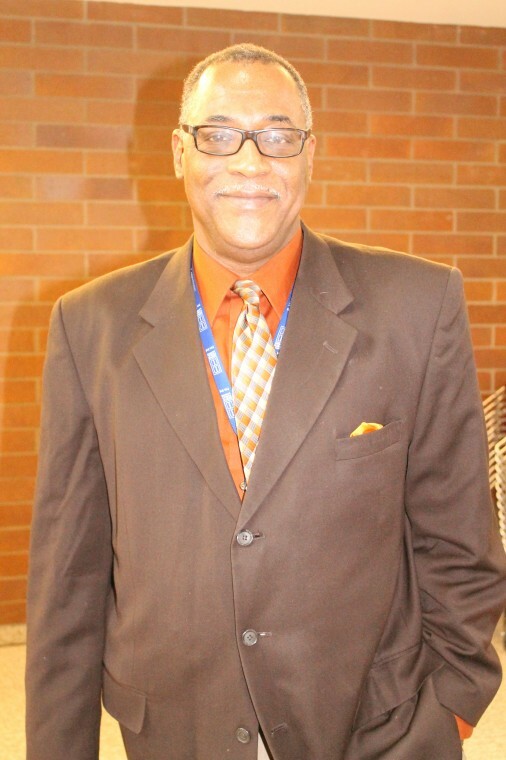 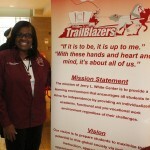 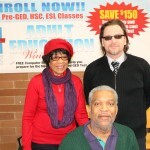 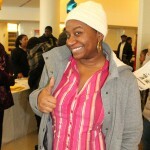 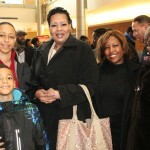 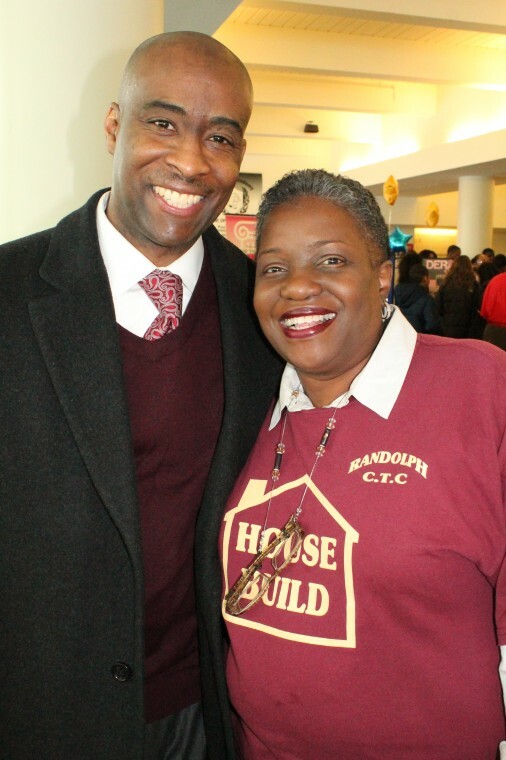 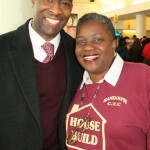 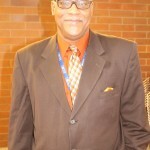 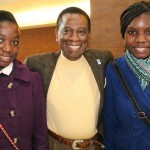 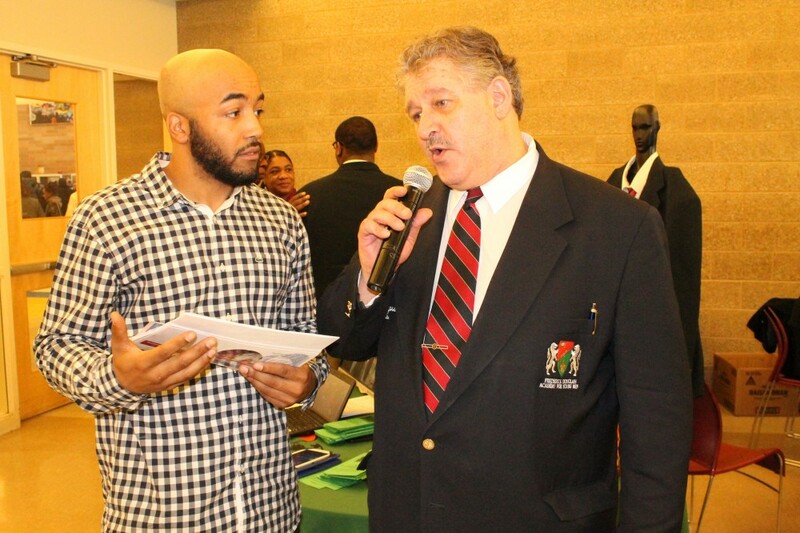 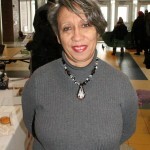 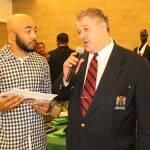 The event was emceed by Dr. Darrius of Radio One. 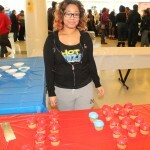 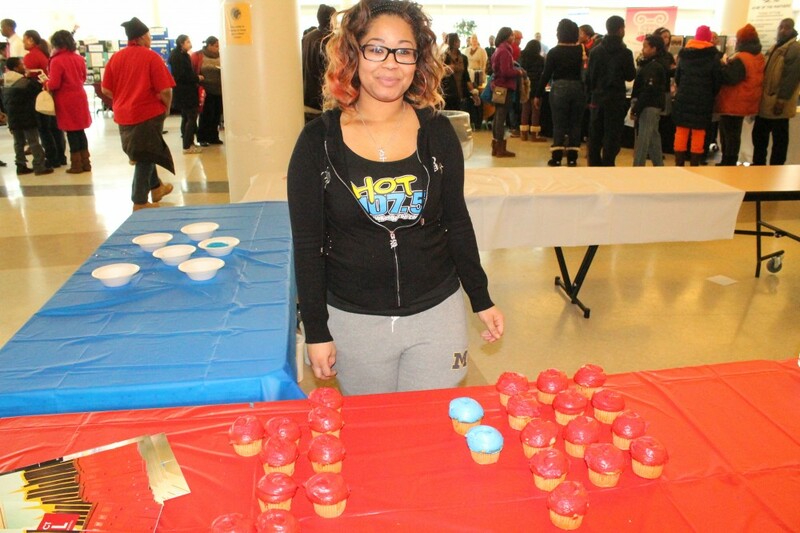 Radio One also sponsored a cupcake station for guests with special DPS-themed cupcakes. 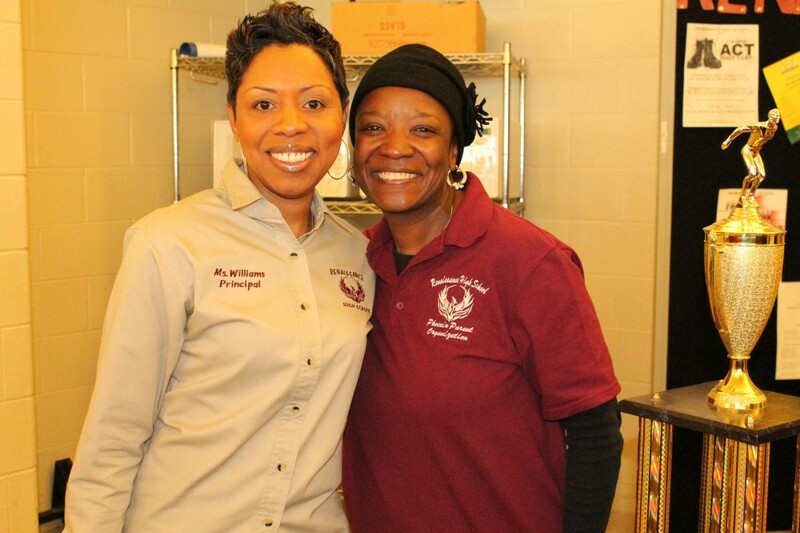 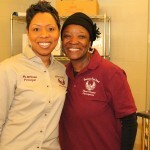 The DPS Office of School Nutrition showcased its special healthy food offerings. 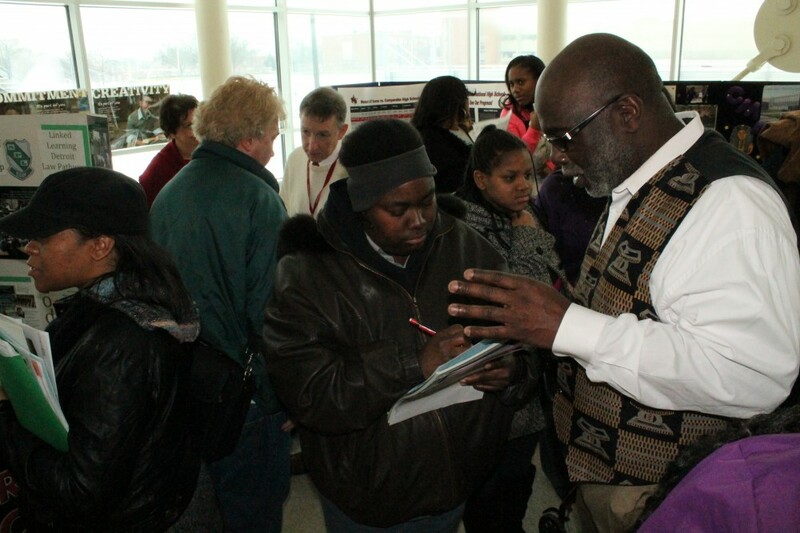 All elementary and middle schools will repeat their open doors event for public tours on Wednesday, January 22 from 3-5 p.m.